Description: Bedrooms: This gorgeous property has everything you've been looking for! 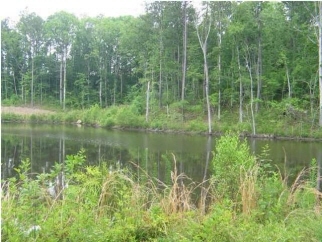 You'll have to see the gently rolling landscape and the 3 acre fully stocked pond. A driveway has been cut through, but the property is still undeveloped. Beautiful hardwoods are everywhere! Utilities are available so this property is ready to become an amazing homestead, or it can easily be subdivided for a water front community. Call to schedule a viewing today. I look forward to the opportunity to assist you in your real estate needs.